White skinny jeans with knee distressing. Perfect jeans for any occasion! Model Stats: Models wore their normal sizes. Leah is 5'2, wearing a size 11. I was eyeing these pants for a LONG time. Finally they went on sale so I bought them. I love them!! Super stretchy and comfortable. 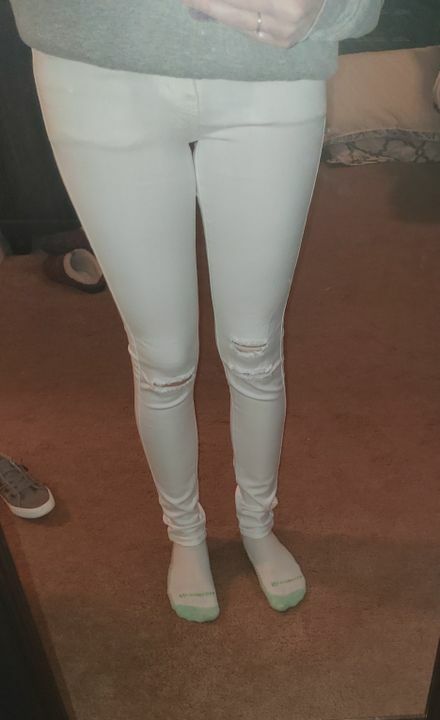 These are the most comfortable, cutest white pants ever! They are like wearing sweatpants! Adorable on! Wish I could have one in every color!